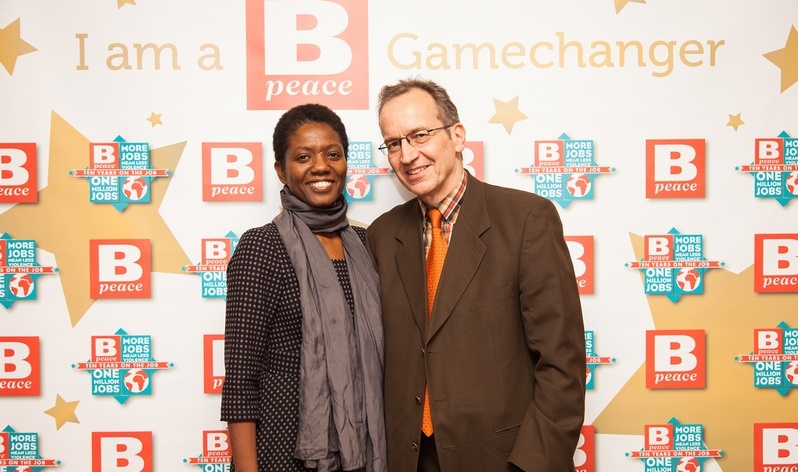 UN Women's Antonie DeJong accepts Bpeace's PIONEER GAMECHANGER award from Toni Maloney at our 10th anniversary Gala. We needed more than a map to find Rwanda and Afghanistan in our early days. UN Women was Bpeace's Lewis & Clark and Christopher Columbus. Here's the backstory: After the one-year anniversary of 9/11 in 2002, 700 female religious leaders convened at the UN in Geneva. Anne Glauber had recruited 25 businesswomen to attend as well. While the women religious prayed up a storm for peace in the UN General Assembly, the businesswomen moved to the hotel bar for some white wine and brainstorming. Five of us went on to found the Business Council for Peace (Bpeace), believing that business had a role to play in peacebulding. 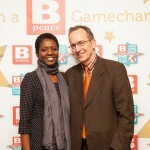 UN Women’s Antonie DeJong attends Bpeace's 10th Anniversary Gala with his wife, Leslie Wade. Frankly, as businesswomen we didn't know much about how to go about this. Luckily, UN Women (then called UNIFEM) took us under their wing and pointed us to Rwanda and Afghanistan. UNIFEM lent us their brand and allowed us to call them our partner. They helped us put boots on the ground by guiding our first expeditions to Rwanda and Afghanistan, especially helping us identify high-potential local businesswomen who would benefit from American business mentoring. When UN Women gave a huge boost to the non-profit start-up Bpeace in 2002, none of us knew the true downstream effect of what would occur. 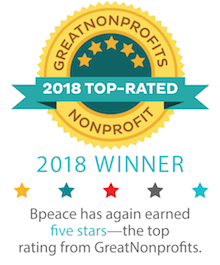 Bpeace is here today, 10 years later, having helped tens of thousands of Rwandan, Afghan and Salvadoran families benefit from jobs created by the entrepreneurs we assist. In 2013, we hope once again to take some bold steps with UN Women. 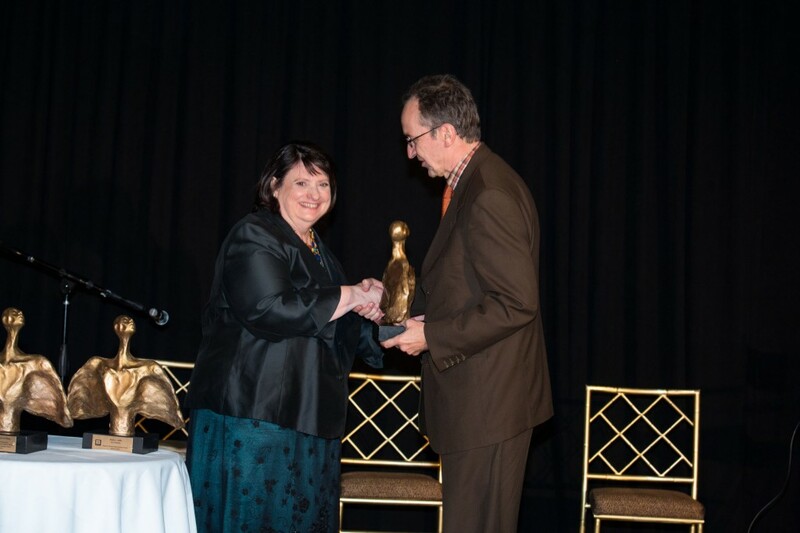 To recognize our past history and kick off our renewed relationship, it is my pleasure to present UN Women with the Bpeace Pioneer Gamechanger Award.